Bellator Fighting Championships’ highly anticipated fourth season will premiere this Saturday on MTV2 beginning at 9PM ET/PT. Bellator 35 takes place inside the Tachi Palace Hotel & Casino in Lemoore, California and features the quarterfinals of their Welterweight Tournament. MTV2’s telecast will feature Sean Wheelock as the play-by-play announcer and Jimmy Smith will serve as the color commentator. A Spanish-language telecast will air on MTV Tr3s on Sunday at 8pm ET/PT. Their telecast team will include George X and Manny Rodriguez. 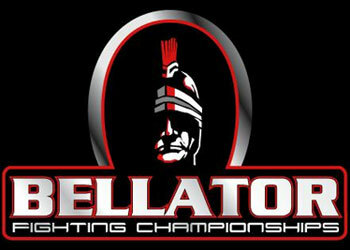 Bellator fights will air weekly on MTV2 and feature contest from venues around the country. This season will include a featherweight, lightweight, welterweight and light heavyweight tournament, with fights airing every Saturday night for 12 weeks on MTV2. Bellator on Tr3s will air every Sunday, following the MTV2 telecast at 8PM ET/PT. Brent Weedman vs. Dan Hornbuckle.